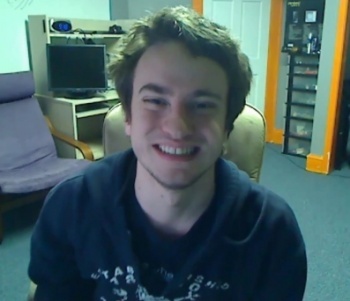 PS3 hacker George "GeoHot" Hotz has donated his leftover legal defense funds to the Electronic Frontier Foundation. PlayStation 3 hacker George "GeoHot" Hotz faced a serious situation when Sony sued him for jailbreaking the PS3. To mount a proper defense, GeoHot asked for donations and got a huge response right away, acquiring enough money for the near future. On April 11, GeoHot and Sony settled the case, but those donated funds won't go to poor use. Instead of GeoHot using the funds to buy a 60-inch 3DTV, he donated every penny to the Electronic Frontier Foundation. The EFF works to defend digital rights in various areas such as free speech, innovation, and privacy. On his blog, GeoHot posted an image of his receipt for the $10,000 donation to the EFF, and says it's "all left over legal defense money, plus a little to bump it to a nice number." He thanks everyone for their donations, saying the lawsuit could have been much worse without them. GeoHot adds that he won't be anonymously continuing his work on Sony products out of respect for the court system. He still expects others to work on the PS4, NGP, and other future Sony products, because as he says: "If you piss [Sony] off enough for them to pull out the legal team and their million dollar checkbook, worst thing that happens is you have to super swear to never do it again." If you're GeoHot, maybe.